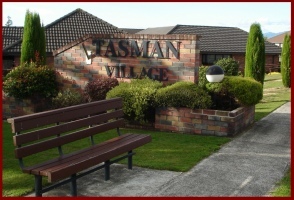 Tasman Village is located on the corner of Thames Street and Seales Road in Morrinsville, with the main entrance on Seales Road. Our village borders rural land and yet it’s only 1.5 km from the centre of Morrinsville where you will find all your conveniences for day to day living. We are situated only half an hour from Hamilton, or an easy driving distance from Auckland, Tauranga, Rotorua, Waihi and the Coromandel Peninsula. If you are visiting Morrinsville, please feel free to drive through the village and have a look around. Or, if you would prefer, you can park in one of the many car parks and take a walk through the village. Our village office is situated in the hall and is open on Tuesday, Wednesday and Thursday from 8:30am - 5:00pm. You are welcome to call in and have a chat about what Tasman Village has to offer, take a tour through the village and homes, and take an information pack home with you. If another day suits you better then that can easily be arranged - just ring the office (ph 07 889 1933) and the answerphone message will provide you with the numbers of two residents who can answer your questions and show you through the village.